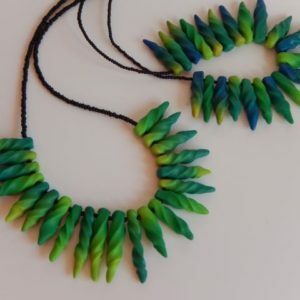 This beautiful necklace from our Bindu range is approx. 55cm long and showcases 16 medium (approx. 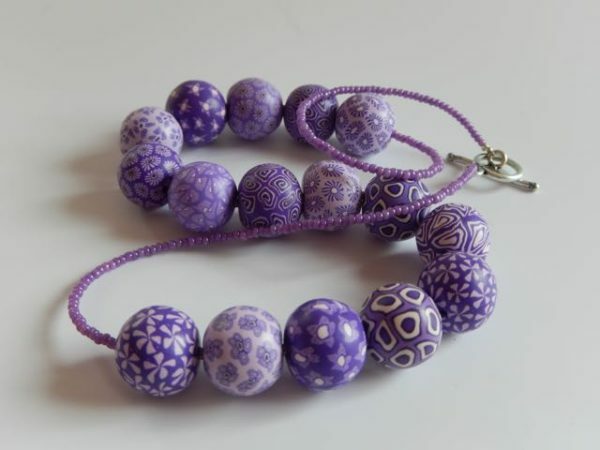 1.5 cm) beads decorated with intricate canes in purple, mauve and white colours. 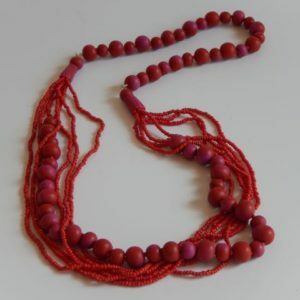 From the last beads to the clasp is a 14 cm length of coordinating pote (seed beads worn in Nepali wedding necklaces). 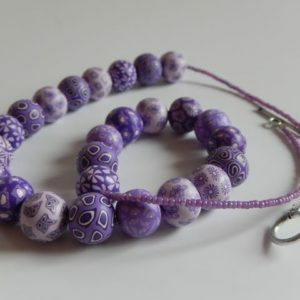 The necklace is joined with a silver coated toggle clasp.